It seems as tho I’ve accomplished very little today. As you can see from the look of the blog – I’ve done some changing around, rearranging, deleting, organizing, etc. That’s always putzy work – especially on dial up waiting for things to save. Ran an errand – it’s not nearly as hot and humid out as I thought it was going to be – and spent some time going through and organizing some of the knitting stuff. I decided I wanted a change from the Simple SKYP socks I’m working on so rather than casting on the second one – which I will do in the next day or two but not today – I found a different pattern and yarn to cast on to work on tonight. 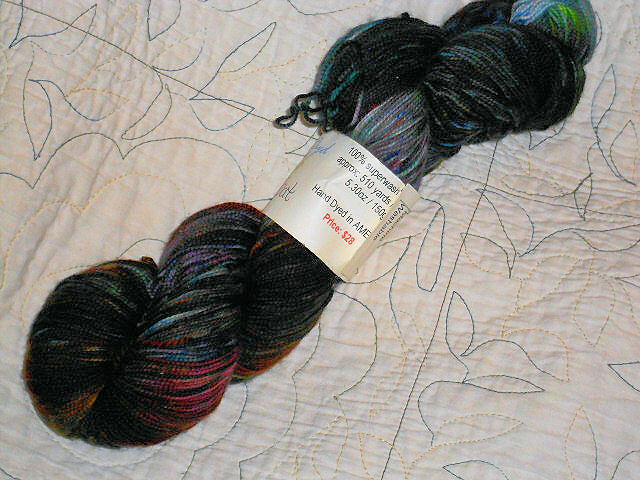 Here’s the yarn I picked on the hank – you can see mostly dark colors with various splotches of all kinds of colors. It will be interesting to see how it knits up. And here it is in a ball. 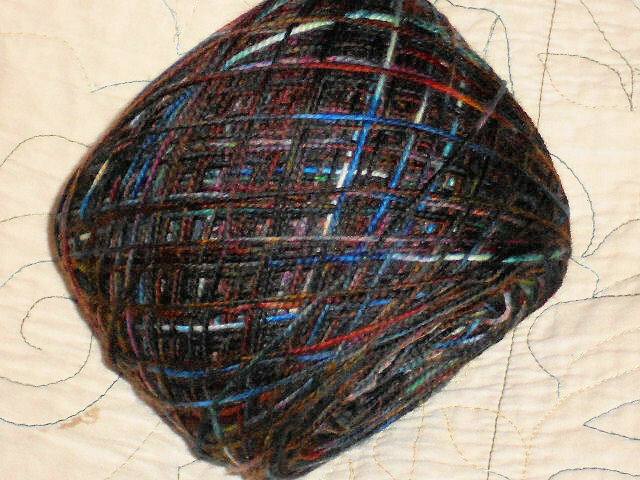 I think I’ve settled on the Harvest Dew pattern by Rosehiver on Ravelry.